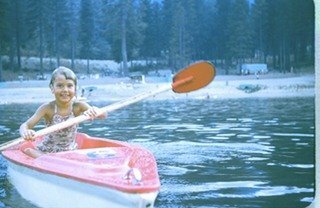 Although I was born in Missoula, Montana, I grew up in Southern California in the 1960’s which meant that beaches and water were a constant part of my life. I was not yet a teenager when I first took the helm of a boat, a rented Lido 14, on the waters of Newport Harbor. I was hooked. Whether it was sneaking down to take out my dad’s little 22-foot sloop alone or crewing on a Baltic Trader sailing up the Mexican coast, from the moment of that first sail, boats have always been a part of my life. I spent a year in France as a foreign exchange student right after high school, and it was there I became addicted to travel and adventure. I attended seven different schools from California to San Miguel de Allende, Mexico before finally getting my first college degree. 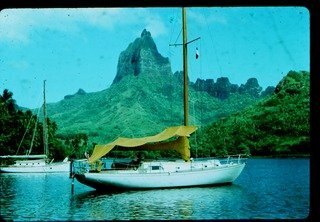 Early on I wrote and published magazine stories about my adventures including riding a bicycle 1,000 miles down the newly opened Baja California highway and crewing on a 44-foot sailboat throughout the islands of the South Pacific to New Zealand and back with the man I later married, Jim Kling. 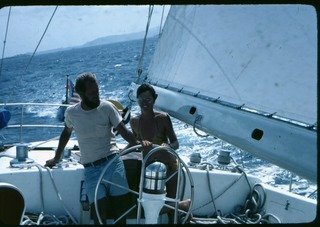 Jim and I sailed back to California where we built our own 55-foot custom sailing yacht, Sunrise. After launch, we sailed her down through the canal and to St. Thomas, USVI where we ran crewed charters for over two years. While in the islands, I received my 100-ton Captain’s License for Auxiliary Sail and became a windsurfing instructor as well as a charterboat cook. From the Virgin Islands, Jim and I sailed to Florida where we settled in 1984, three months before the birth of our son. We lived aboard the boat on the Intracoastal Waterway and on canals off the New River, and I soon got to know Fort Lauderdale from the water better than I knew the city streets. I enrolled at Florida International University and was accepted into their MFA in Creative Writing Program. 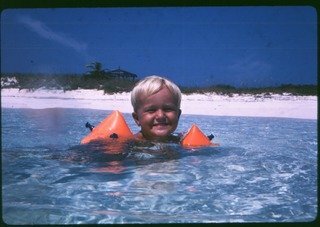 After completing my MFA in 1993, we took off sailing once again and spent two years cruising the waters of the Caribbean while I home schooled my son, Tim. It was during this voyage that I started my first novel, SURFACE TENSION. Within two years of our return, Jim and I divorced. Finding myself a single mom in tough financial straits, I went back to work as a teacher, and writing nights and weekends, I finally finished SURFACE TENSION, found an agent and my first novel was published in 2002, just in time to help pay for my son’s college tuition. In 2005, while working on the fourth novel in the Seychelle Sullivan series, I bought my own sailboat, a Caliber 33, and renamed the boat Talespinner. In 2011, I retired from my position as an English professor at Broward College and became a full-time sailing writer aboard Talespinner. My fifth novel, CIRCLE OF BONES (2013), was a big departure for me and the beginning of the Shipwreck Adventures series. There are now three books in that series, including DRAGON’S TRIANGLE and KNIGHT’S CROSS. And in 2017, I returned to the Seychelle series and published book #5, MOURNING TIDE. In late 2013, I met a solo sailor who was cruising Fiji when he made a comment on my blog. We started to email, then Skype, and soon I bought a ticket and flew down to Fiji to join him on an 1800 mile passage to the Marshall Islands. Wayne and got married in March 2015, and I began to sail, live and write aboard Learnativity, a 52-foot steel sailboat. We are currently cruising in Fiji with Barney the Yorkshire Terror and Ruby the Wonderdog.